Monitoring test failed: Test Title: Trusted Issuer Certificate test: Machine: CRMSrv01: ServerRole: DiscoveryService, Portal, ApiServerTest Log:Retrieving certificate data from config DBVerifying TrustedIssuer certificate. Name=http://fs.adatum.dk/adfs/services/trust. 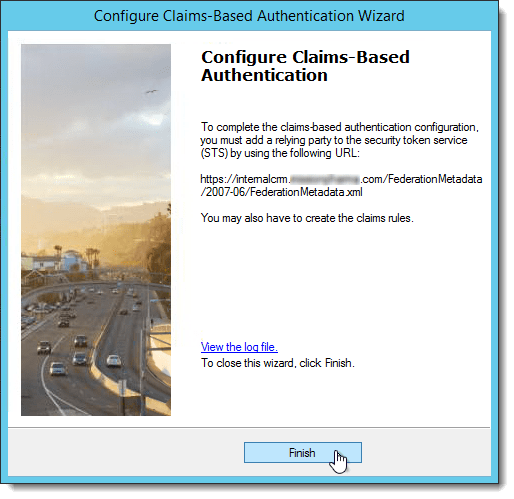 Verifying TrustedIssuer certificate. Name=http://fs.adatum.dk/adfs/services/trustTrustedIssuer certificate is not stored in local store: It is contained in the config DB. Name=http://fs.adatum.dk/adfs/services/trust. Certificate Lifespan: Valid from 10/09/2015 19:40:32 to 10/08/2016 19:40:32 Remaining certificate lifespan 89.6 % is greater than the configured threshold of 10.0 %. Certificate is not nearing expiration. Looking in the Certificates snap-in for the Local Computer, I found both the new and the old certificate listed. 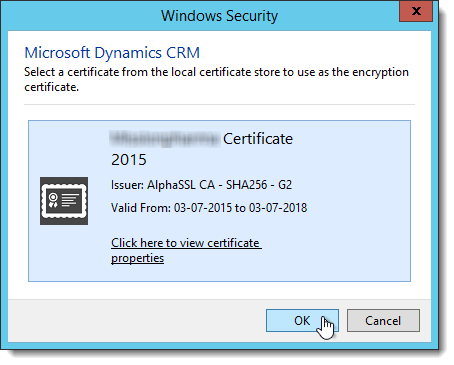 Some systems have a tendency to hang on to old certificates, even after it has expired – despite new, valid certificates are present and available – thus requiring a forced update to initiate a discovery for replacement certificates. After removing the expired certificate, leaving only the current configured, valid certificate, I started a rerun of the Claims-Based Authentication configuration using the CRM Deployment Manager. 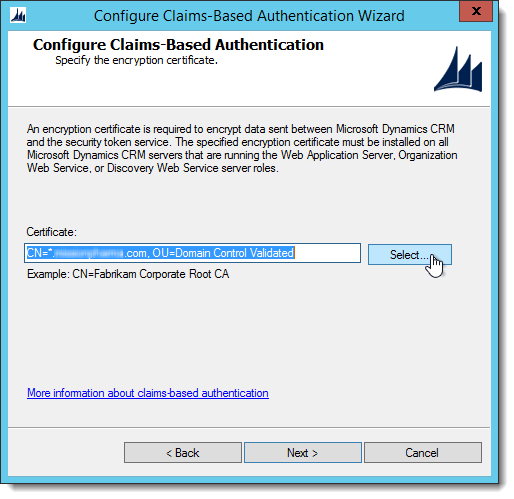 The following procedure require membership of the CRM_Admins domain security group, and administrative access to the CRM server farm. db_owner on the MSCRM_CONFIG database. 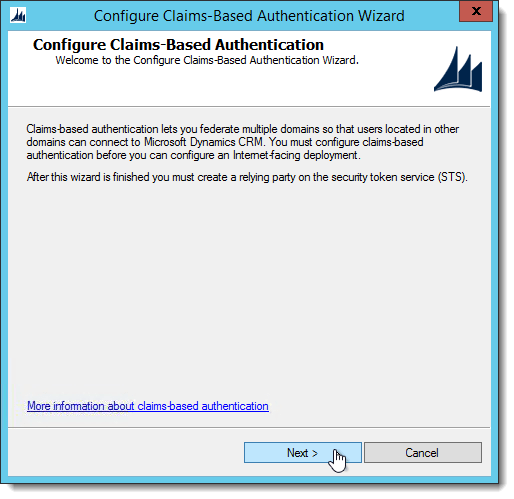 On the Microsoft Dynamics CRM server, start the Deployment Manager. In the Deployment Manager console tree, click Microsoft Dynamics CRM. 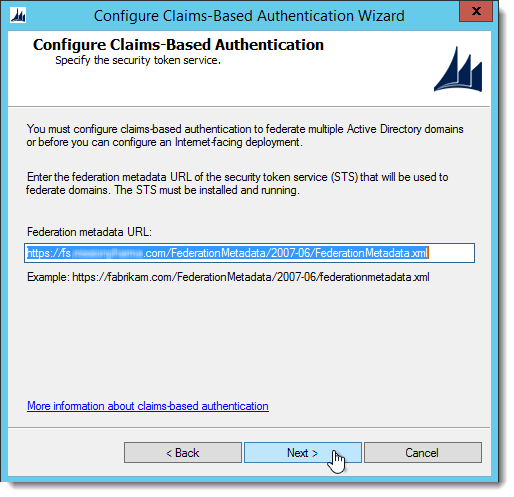 On the Specify the security token service page, leave the Federation metadata URL as unchanged. 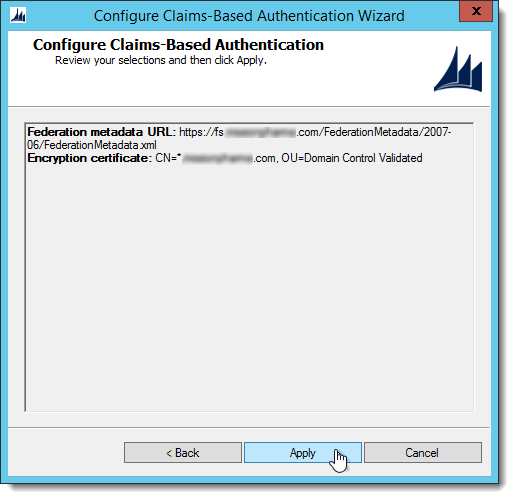 The Configure Claims-Based Authentication Wizard now verifies ADFS metadata URL and the service communication certificate that was configured in the last step. On the System Checks page, review the results, if any errors appear, investigate and fix the issues. When both checks are validated correctly, click Next. On the Review your selections and then click Apply page, verify your selections, and then click Apply. After completing the change and waiting for 15 minutes to expire since the last series of errors, the following event (18691) appeared in the Application log on the CRM server. The event confirmed that the CRM service has made a discovery of the new token signing certificate and committed the updated certificate data to the Config Database, thus resolving the issue. Monitoring test succeeded: Test Title: Trusted Issuer Certificate test: Machine: CRMSrv01: ServerRole: DiscoveryService, Portal, ApiServerTest Log:Retrieving certificate data from config DB. 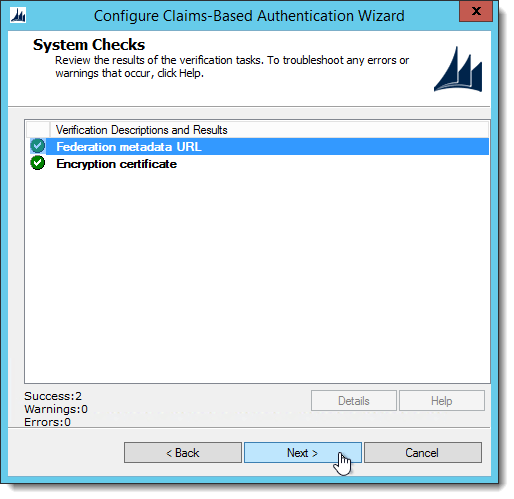 Verifying TrustedIssuer certificate. Name=http://fs.adatum.dk/adfs/services/trustTrustedIssuer certificate is not stored in local store: It is contained in the config DB. Name=http://fs.adatum.dk/adfs/services/trust. Certificate Lifespan: Valid from 10/09/2015 19:40:32 to 10/08/2016 19:40:32. Remaining certificate lifespan 89.6 % is greater than the configured threshold of 10.0 %. Certificate is not nearing expiration.